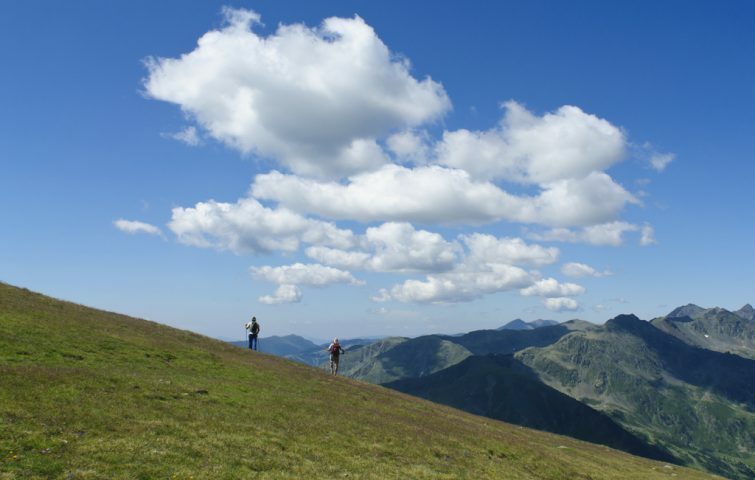 Andorra, situated in the eastern Pyrenees between France and Spain, is renowned for its dramatic mountain scenery. This holiday will take in some of the most spectacular panoramas this little principality has to offer. We will be based at the 3 star Hotel Coma in Ordino from where we will explore the surrounding peaks. We will walk in both Sortenay National Park as well as Coma Pedrosa National Park, home to the highest peak, Coma Pedrosa (2948m). 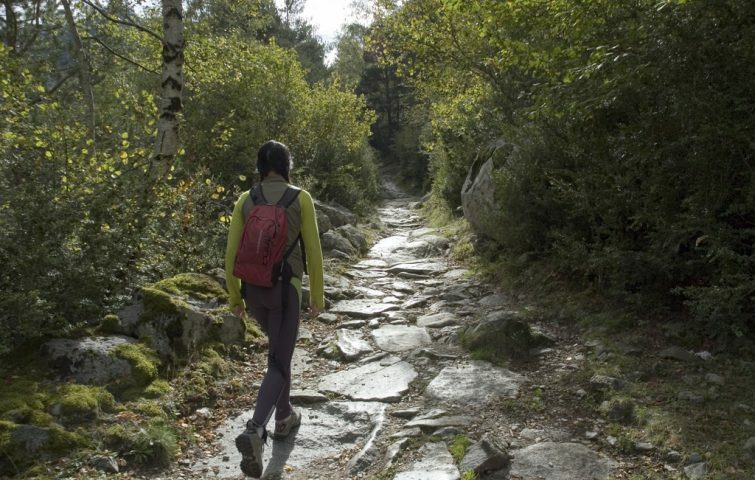 There will be a low intermediate and a high intermediate walk each walking day and we can expect to see stunning glacial lakes, ridges, cols, abundant flora and fauna, old shepherd huts, historic iron mines and the influence of both the Atlantic and Mediterranean in the landscape. 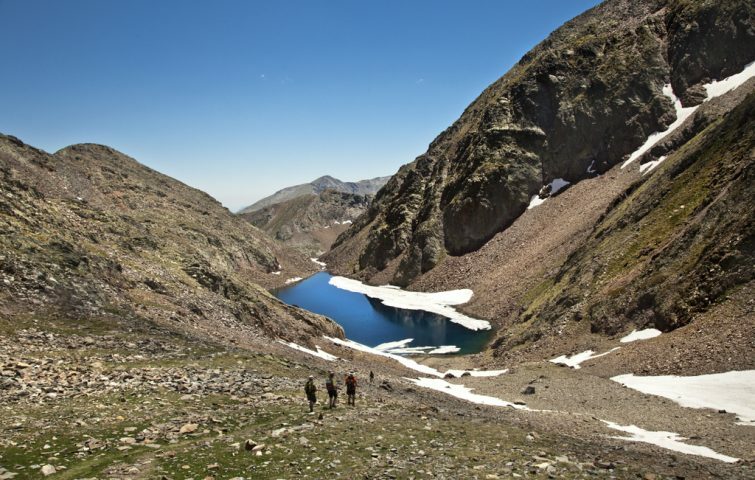 We will walk within sight of both the Spanish and French borders – and hopefully cross the border into France to get a closer look at the Blue Lake on one day. Long distance views and wonderful walking combine to make this a real gem for walkers. There are so many walks to choose from that even if you came on this holiday last year there are many alternative routes to explore. There is also a free day on this holiday when you can choose to walk independently or perhaps chill by the pool and enjoy the sunshine. 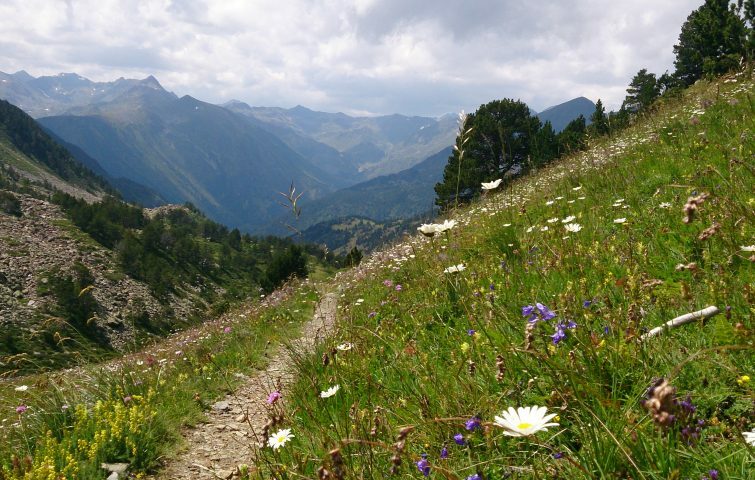 Hotel Coma is a friendly, family run hotel located in the peaceful mountain village of Ordino. It is known for its mix of traditional Andorran food combined with Mediterranean dishes. Set in extensive gardens with its own pool, it’s the perfect place to relax after a day’s walking. Price includes: 7 nights full board accommodation (excluding 1 lunch and 1 dinner on the free day); all transport to walks; airport transfers at set times. Single rooms available if you book early – £20 per night supplement.